Heritage means business: so why is the government not investing? 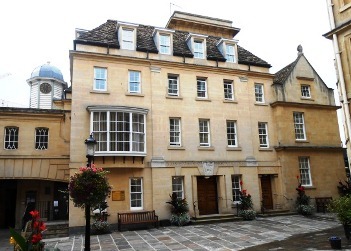 St John’s Hospital Alms House in Bath. Replacement timber sash windows by Wessex Restoration. Heritage homes are an integral part of the fabric of rural Britain and buildings open to the public offer a little piece of heritage to all. As a company, we believe that maintaining all heritage properties is valuable, but that in itself doesn’t necessarily make it a worthwhile pursuit. Heritage for heritage’s sake isn’t an argument that convinces everybody. Leaving sentimentality aside, the heritage sector contributes a lot of money to the country’s coffers. The Historic Houses Association’s 1550 properties attract more than 13 million visitors a year – put into context, that’s 11 million more than Jamaica. And those are just the privately owned houses, not including properties owned by English Heritage, the National Trust and their equivalent bodies in Scotland and Wales. According to a Visit Britain survey in 2013, heritage-based tourism is now worth £26 billion to the UK economy and was responsible for a third of the net increase in UK jobs between 2010-2012. The government claim to be working to promote heritage tourism, spending millions on marketing campaigns targeting international airports. So why then are repairs to heritage and listed buildings taxed? Introduced in the 2012 Budget, 20 per cent VAT on heritage repair work has hit specialist historical trades hard. Stonemasons, joiners, ornamental plasterers, brick-cutters and other trades are struggling to find business, while owners of heritage properties are struggling to pay for essential maintenance work. These taxes, according to the Historical Houses Association, put the future of the heritage sector at risk, due to financial constraints and the reducing number of skilled workers. Already there are concerns about the fact that heritage associations rely too heavily on grants or other funding to maintain properties, but it would be difficult to raise money via other means while keeping entrance fees low. We’re not the first to point out that there is an inconsistency in the way the government are promoting the heritage industry while making maintenance increasingly difficult to source, nor that heritage repairs are taxed at 20 per cent while new build construction is VAT-free. If we want to preserve the nation’s heritage for the future, the government needs to address their funding priorities. For more information about why heritage is so important, read the HHA’s report ‘Heritage Means Business‘. Other information sourced from this Spectator article about the Conservatives’ shift away from countryside policies. This entry was posted in Heritage.